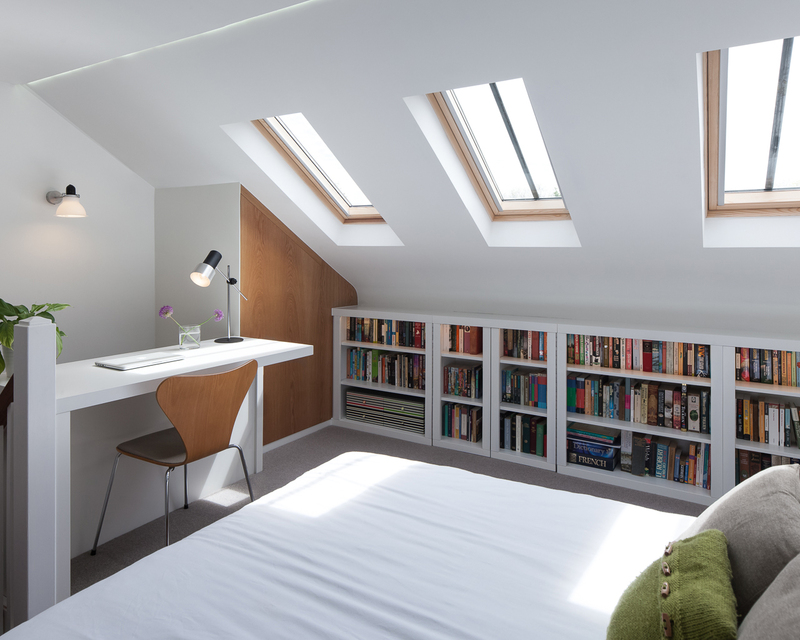 The owners of this late-period, Eric Lyons designed, Span House needed to provide additional space for their expanded family and were desperate to avoid moving from their beloved home. 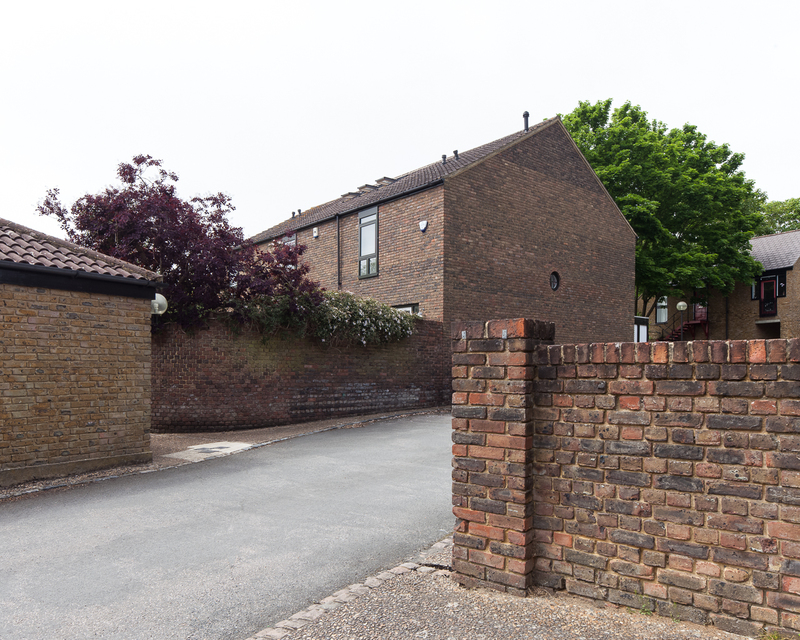 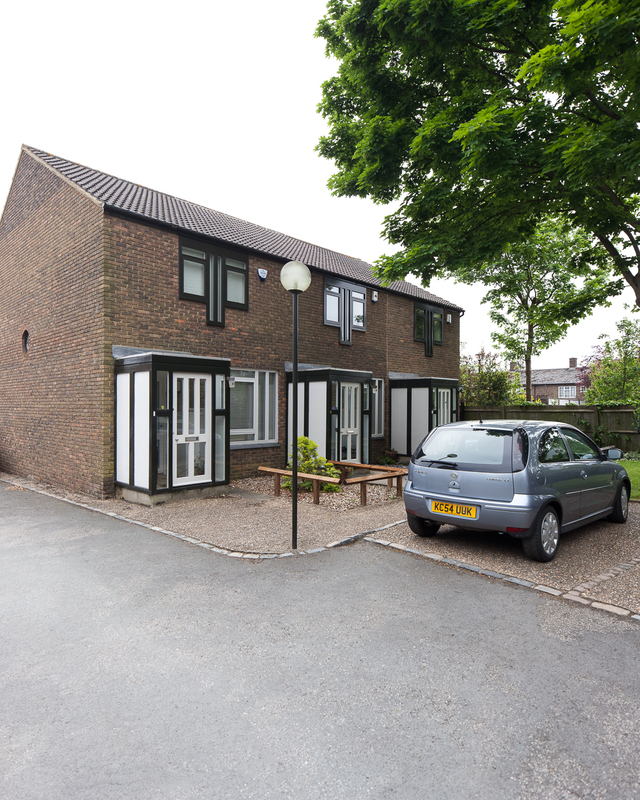 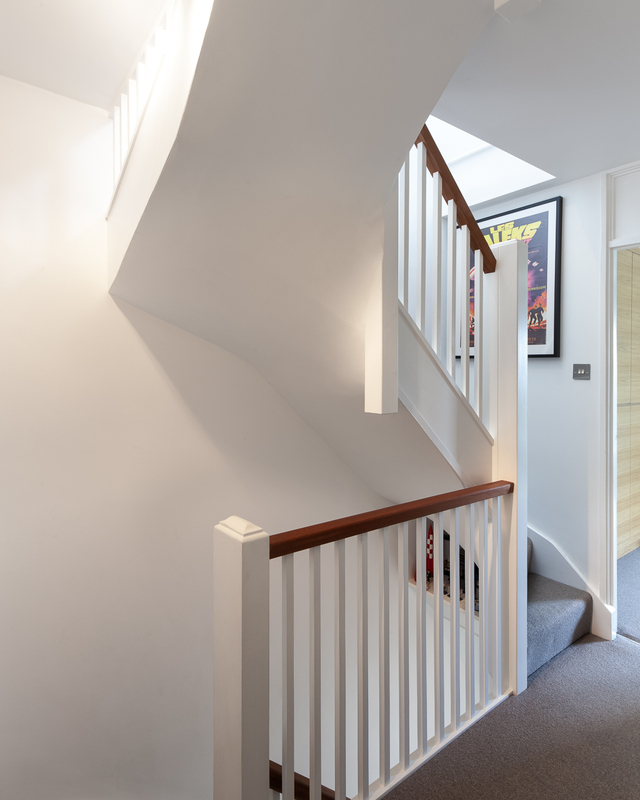 Alterations to Span Houses are carefully considered and monitored by the estate’s advisors to avoid unwanted additions harming the unity of the original designs. 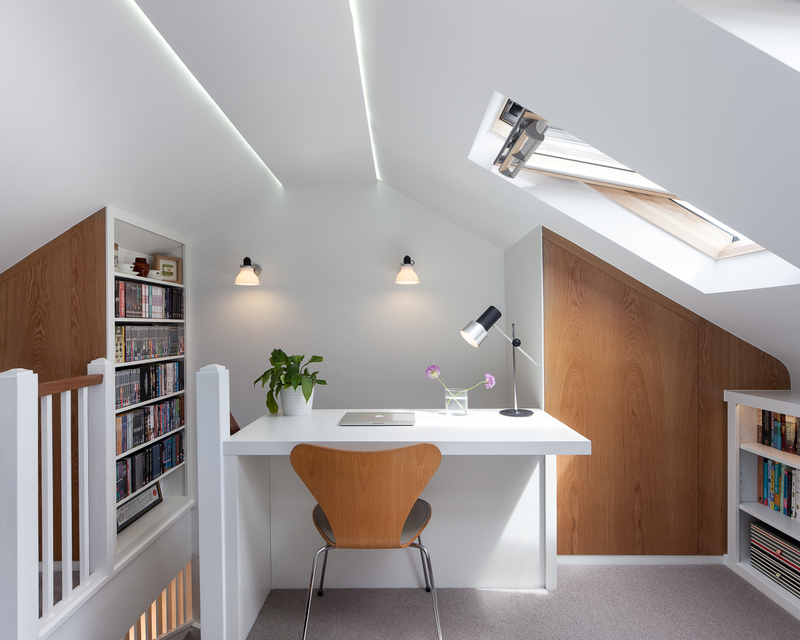 A visible extension would not have been permitted. 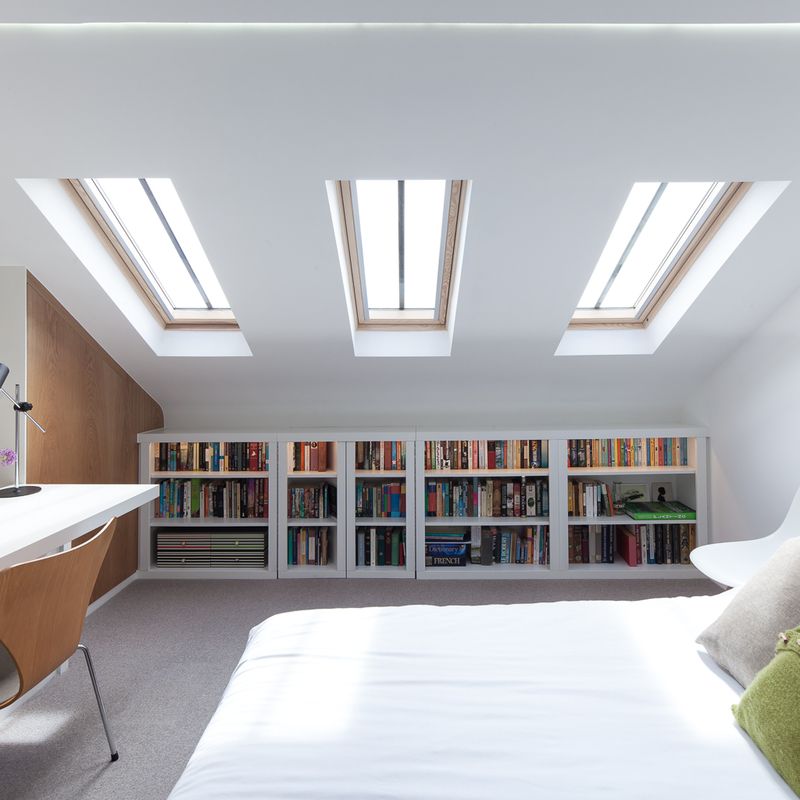 Our scheme therefore created a further bedroom and study space in the existing roof space without affecting the external envelope. 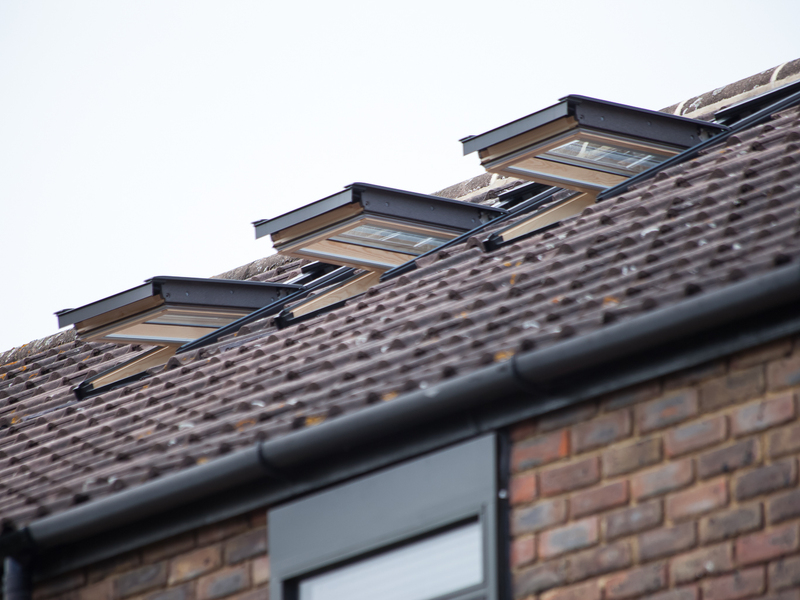 Three conservation roof lights on the rear elevation are the only indication of the internal amendments. 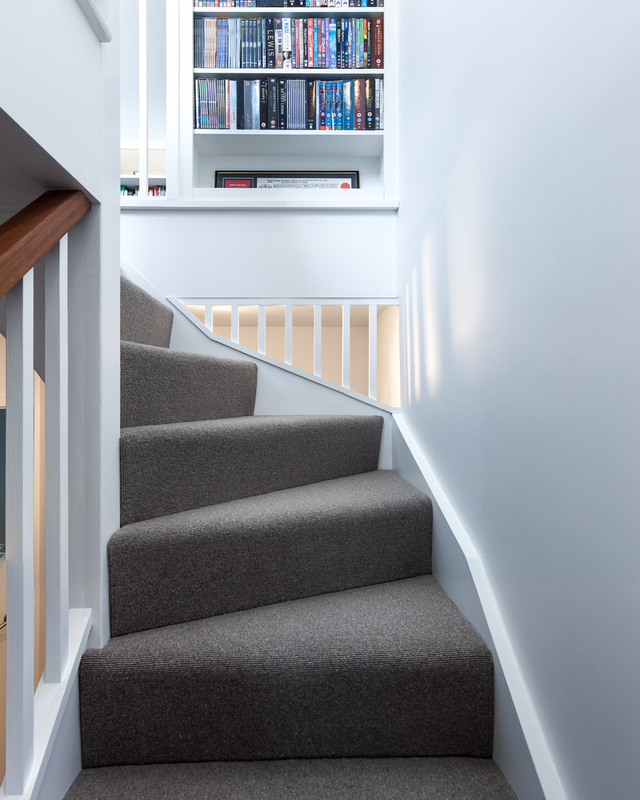 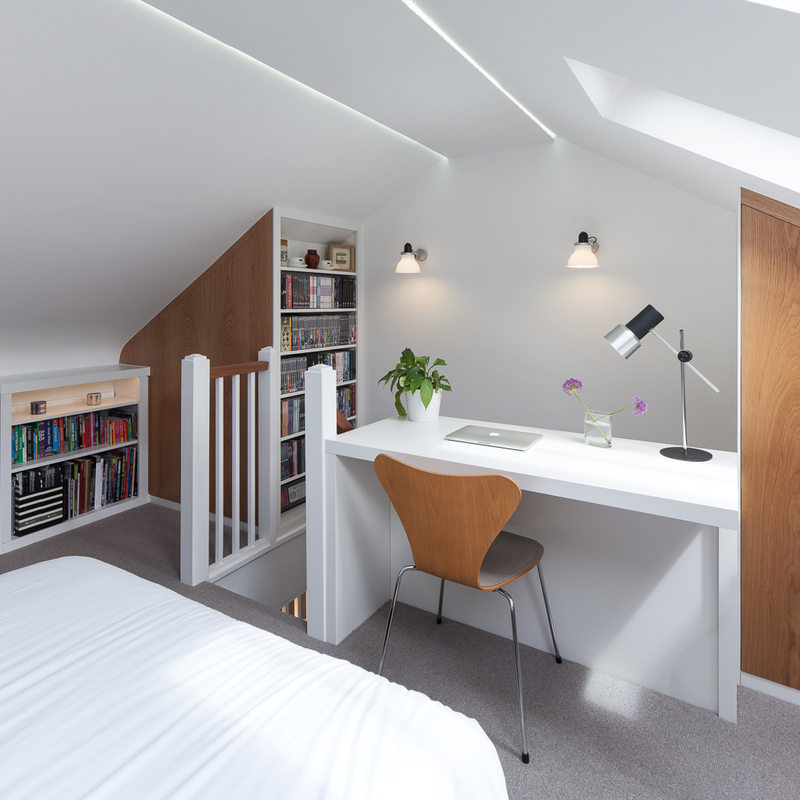 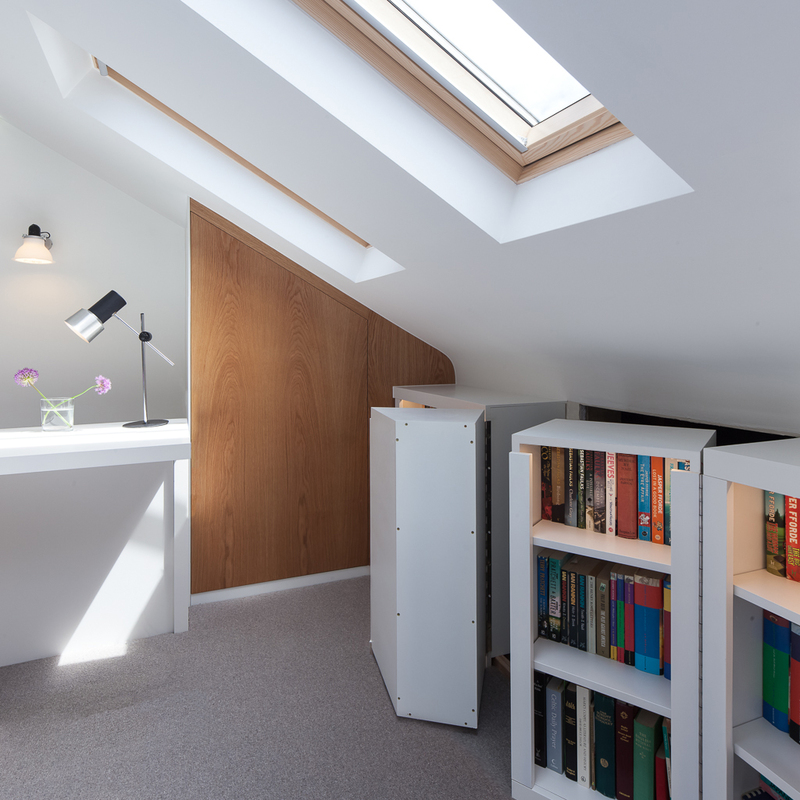 The new roof space makes as much use of the available space as possible with bespoke bookshelves and fitted wardrobes located either side of the new staircase. 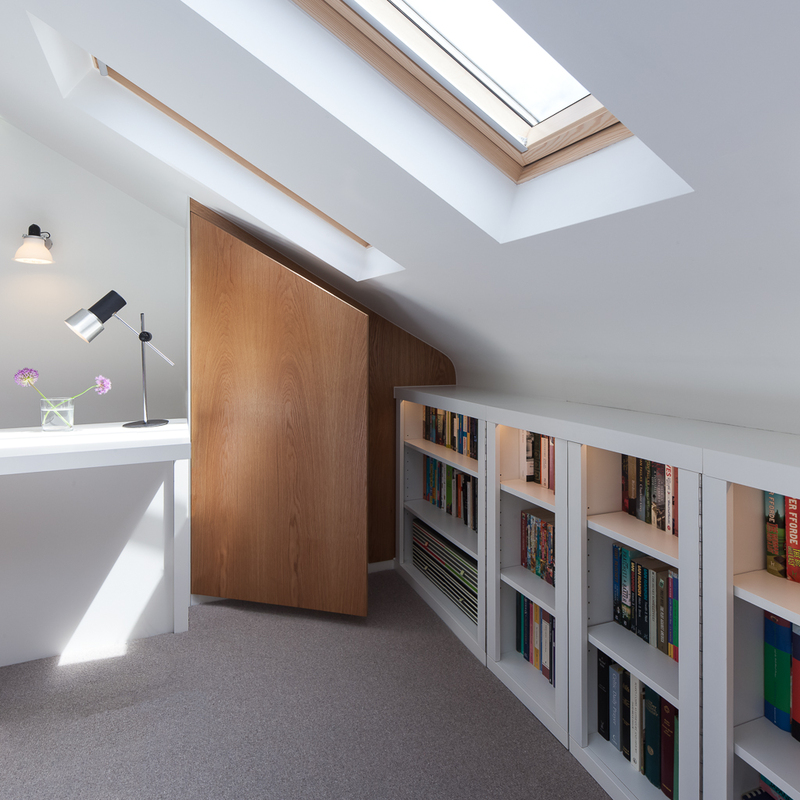 The furniture, by Dennis Tod Interiors, conceals additional attic storage. 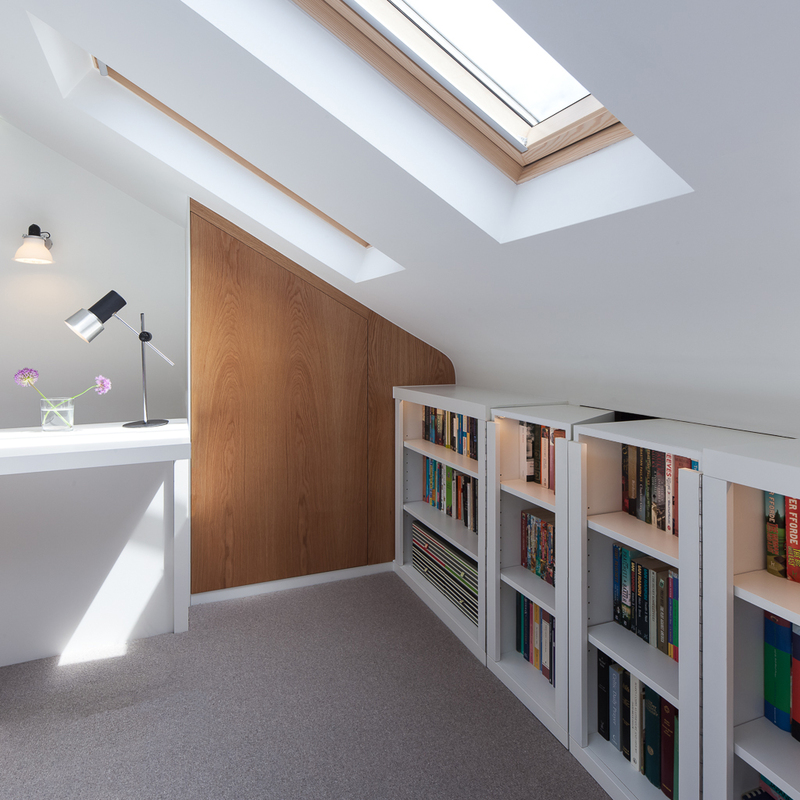 Hinged units allow the space to be accessed without losing book storage. 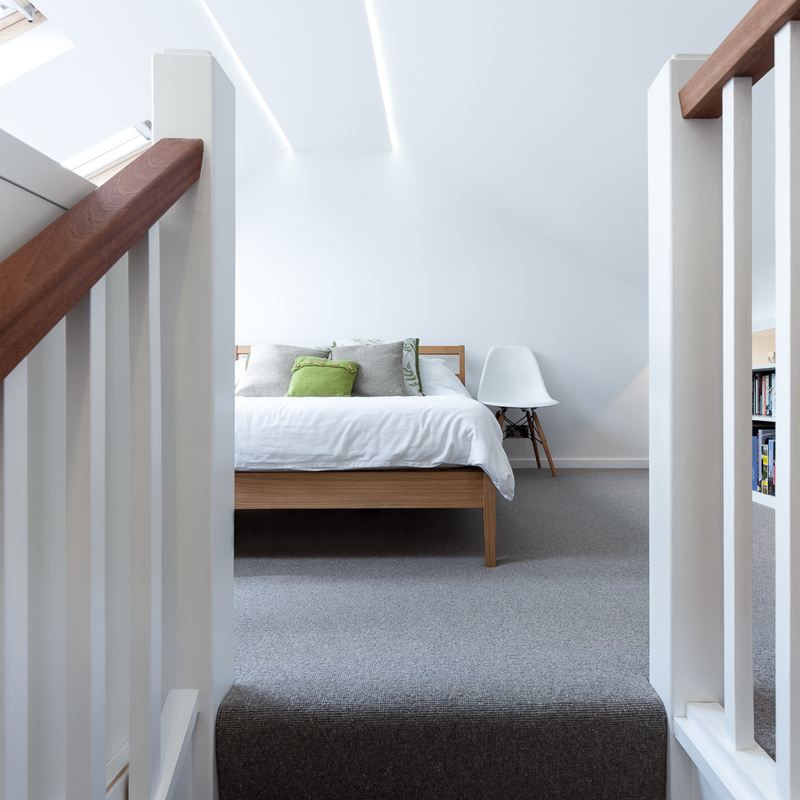 The clients wanted to preserve the open plan ground floor and keep the bedroom open to the stairwell. 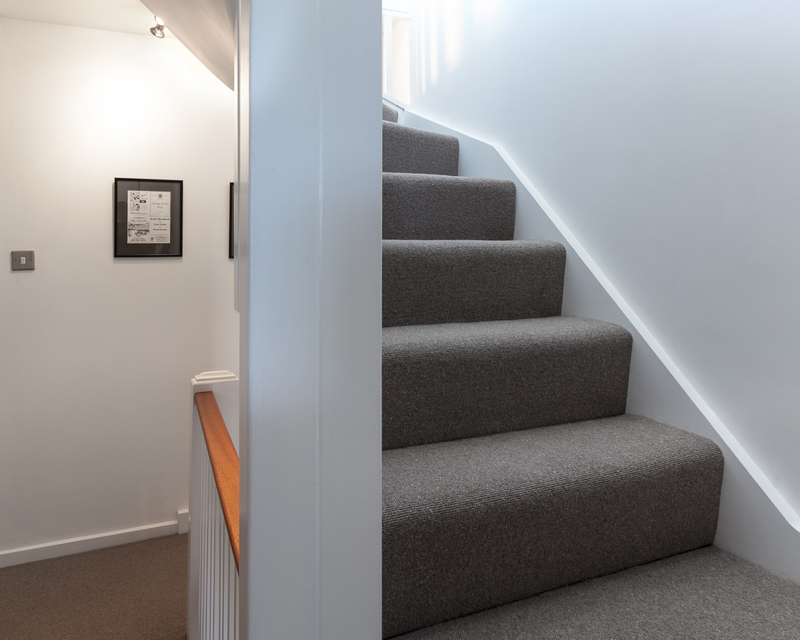 A fire suppression system was therefore installed throughout the rest of the house to maintain protected escape routes.